We all deserve to live in a state where all Oregonians, including APIs are able to live healthy successful lives, where we and our future generations receive quality education and services. I’ve lived in Oregon for close to 20 years. After years of struggling to afford high rent prices in the Bay Area, my parents working 3-4 jobs, they decided to pack their bags and drive up north to Oregon. Oregon is where I attended high school and college; it’s where I got my first job and began organizing with API communities. I graduated college during one of the worst economic recessions in our country; my parents lost their home and struggled to support our small business. Meanwhile, big banks and corporations that ruined the economy in the first place were getting bailed out. In my work, I saw the way lack of resources and support affected all our students: large class sizes, low graduation rates, not enough teachers or counselors, not enough resources for English Language Learners,to name a few. .
Year after year, we see schools and social service programs on the chopping block for state funding. It was always the parents, teachers, community advocates, and students themselves showing up at meetings, testifying in front of elected officials, asking our state to do better and save our education programs. 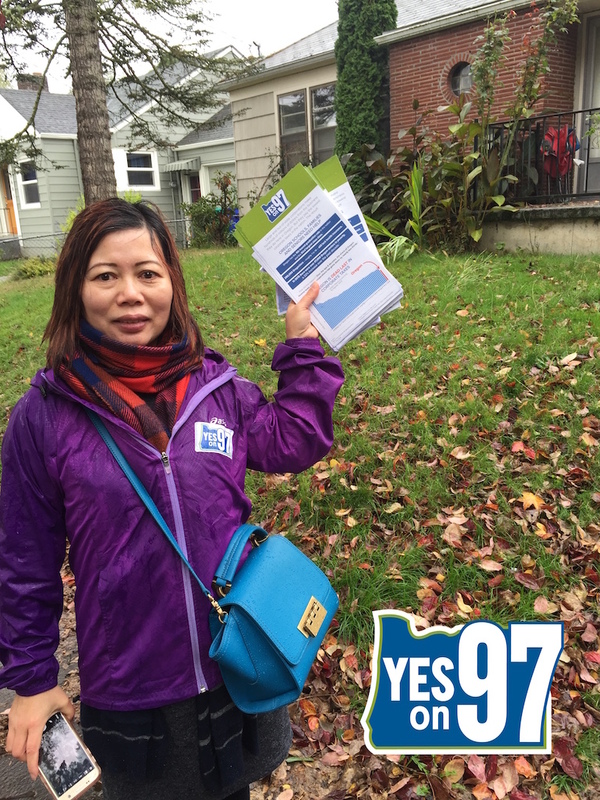 When it comes to Measure 97, this is no different. It’s our communities and families most affected by Oregon’s decades of disinvestment that see why Measure 97 is so important to us and to our futures. We can properly fund schools and health and human services and bring the resources we work so hard for back to our communities. “I have three children and have lived in Oregon for 20 years. Over the years, I’ve seen our schools struggle to get adequate funding to pay for necessary things, and to support our students. I work a lot and live off a modest wage, and pay 35% of my income to taxes that fund our schools and other services. The big corporations should be held responsible as well, and they need to starting paying taxes to our state. 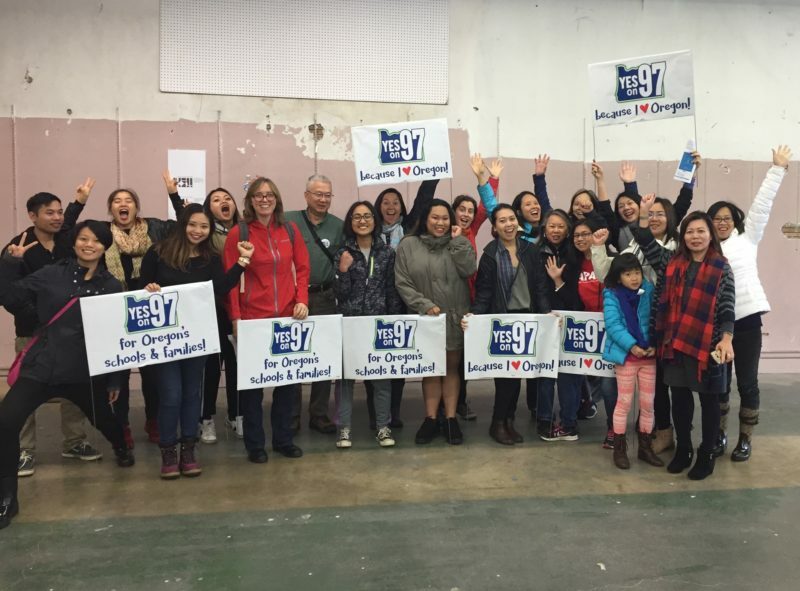 I know many people in my community who will benefit if we pass Measure 97 especially students learning English, the elders who need assistance, and healthcare that is culturally appropriate and meets our needs.